I was 14 when I dropped a ladder on my parents' car, leaving a large section of the paintwork missing. My parents were away - it was my grandparents, who were with me, casting an eye over the damage. They seemed remarkably calm. It was then, fearing the worst, that I had an amazing moment. It turned out my grandfather was an engineer in World War II, fixing flak damage on planes. Whilst rubbing down and spraying the new paint on my parents' car he also revealed that he fixed the damage on the planes in the Dambuster raids. He must have been great at it. The raids were a success and the car was like new! It was the first time he'd spoken to me about the war effort and he was gone too soon to find out more. Film connects me to the past. Watching Richard Todd in the 1955 film The Dambusters gave me an insight into the world my grandfather had experienced; hoping the planes would return home, patching them up and sending them out again and again. I could imagine the camaraderie in the camp, and feel the fear and tension. 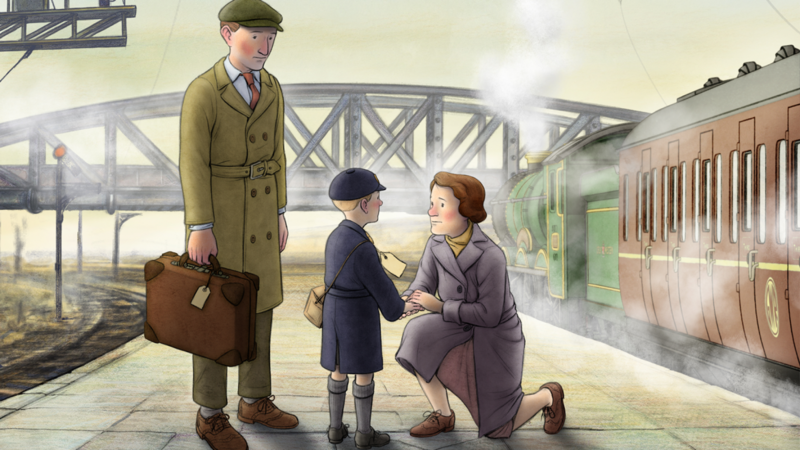 Using those emotions, experiences and adventures we can teach our children about the past and inspire them to write. As more and more brave members of the armed forces pass away it may fall to the films that tell their stories to ensure their memories, their efforts, and their heroism lives on. Film connects us to the people who can no longer tell their story. Through watching film and filmmaking we can keep their memory alive and share their stories with our children. 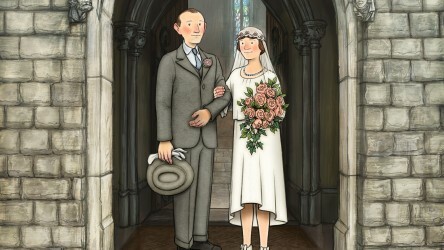 In the classroom, younger children can begin to imagine what the Blitz felt like by watching the title characters in Ethel and Ernest huddled together in their Morrison shelter in war-time London. That film gives a glimpse into the life of an evacuee, as does Goodnight Mister Tom, starring the late, great John Thaw. Around the World in 80 Days, The Water Babies or Oliver Twist can teach us about the Victorian era, where the poorest children suffered and the well-to-do traveled the world. Films like Swallows and Amazons demonstrate a more simple life, as children spend idyllic summers having adventures in the days before gadgets and gizmos. I was lucky enough to know my grandparents, and have that moment when the ladder fell, but some of my relatives were gone too soon. In 1911, when the Titanic sank, one of them was playing the piano when the ship went down. It wasn't until Titanic came out in 1997, when James Cameron harnessed the power of technology to make me feel like I was on that ship, that I truly understood how frightening, hopeless and tragic the event was and what he went through in those final hours. Our children can experience those same emotions. We can harness these movie moments for the power of writing; we can get children reading more about those screen events in books and online; and we can visit the libraries and museums dedicated to cinematic historical events. Above all, however, film can put us in those moments. When we are invested in characters as they fight for their lives or for their country; when we are rooting for a hero, we can forget the events are true; we can forget the characters are actually real people. In these moments, we can begin to understand what it was like to be there. The fear. The joy. The tragedy. The passion. We can bring history back to life. Film brings us closer to our ancestors. Film brings us closer to the events of the past. Film connects us to the people who can no longer tell their story. Through watching film and filmmaking we can keep their memory alive and share their stories with our children. Simon’s award winning film club caters for over 100 pupils every week, and his work as an Apple Distinguished Educator has mobile filmmaking grow year on year. He shares his work with film through writing, conferences and staff training. 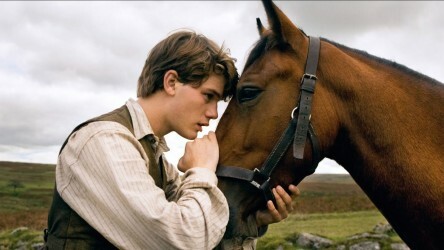 A series of articles that highlight how the medium of film can be used to teach a wide variety of subjects and themes. 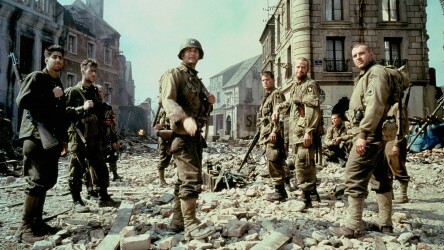 Ahead of VE Day (8 May) history teacher Daryn Simon details why he believes that film is a powerful tool for developing young people's understanding of history. A series of films looking at representations of World War One throughout cinema, from life in the trenches to those left at home. 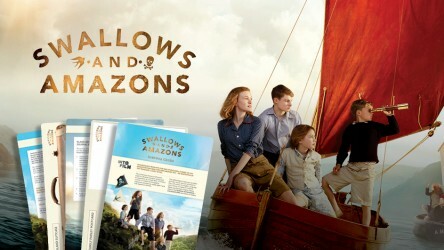 Swallows and Amazons – Survival Guide; a brand new resource created to celebrate the DVD release of Swallows and Amazons.